Oculus really needs to learn that irritating their customer base generally isn’t the best way to make their product popular. Yesterday they released Oculus Home 1.4, which introduced some DRM features that broke a 3rd party ‘hack’ called ReVive, which allows people to run their Oculus games on the Vive, and other OpenVR compatible headsets. Interestingly, the developers of ReVive managed to break the DRM for Unreal Engine VR games already and are planning on doing one for games made in the Unity engine as well. In the end all that adding the new DRM did was cause a lot of anger against them in the Vive, Rift and some of the PC gaming subreddits on Reddit. It doesn’t appear that the anger has spread too far beyond Reddit, but I feel that those people represent a non-insignificant number of people that would have purchased games from the Oculus store. My Rift arrived on the eleventh, I haven’t gotten to use it or my Vive much because I came down with a fairly nasty bug the previous Saturday. It is a very nice piece of tech, but it’s difficult to want to buy games for it after reading how Oculus has been treating their biggest fans. I used to be a big fan of Oculus, but between the huge shipping delays (My device arrived more than a month after they started shipping, 7 minute preorder. ), Retail bundle orders, allowing purchase of a Rift at retail stores before day 1 preorders finished shipping, and now the new DRM… yeah they have not been treating their customers very well. I’m not saying that HTC has not had any of these troubles with the Vive, but they have been largely responsive to issues that have appeared and there is usually only 1-3 days of drama before the issues are fixed. Oculus on the other hand has almost been solid drama since late March, as they don’t reply to issues often, and when they do, their response is very sub-par. After I have had more time to try out the Rift, I’ll put up a review, and my thoughts on the headset itself, this mostly has been what I’m thinking about the company today. As I said before, the headset itself is very nice. it is very well built, and the fabric is a nice touch, and the image is very clear on that headset, more to come in a later post. For now, have a nice day. There’s more to come soon. Well, I have had my Vive for one full week so far, and it is still extremely fun to play on. I was hoping to have my Oculus so that I could do a comparison of both headsets, but as of right now, I have no info on when it’ll arrive, aside from the ‘estimated shipping’ being between today and May 12th. Roomscale – This is a game changer, at least for people with enough space. It needs a 1.5×2 meter space to move around in. I have had the good fortune to have a 2×2 meter area to play in so I actually exceed the minimum area a bit. Being able to move around to interact with the environment adds a lot to the immersion. On the other hand, roomscale needs, well a decently large empty room to move around in. Motion controllers – The Vive wands are very interesting devices, very reminiscent of the Wiimotes from the Nintendo Wii. The Vive wands are a little larger than a wiimote, thanks to the circular tracking part at the top of the controller. This part is what allows the wand to track properly. The accuracy is amazing, part of me wants to see if I could juggle them in VR, though I really don’t want to break one of them… They have large touchpads that can be used in different ways by various games, they also double as buttons, there is also a ‘menu’ button directly above the touchpad and the system button is directly below the touchpad. On the back side of the controller is the trigger and grip buttons. Overall these controllers work very well, though it’d be nice if they had larger batteries or replaceable batteries. They haven’t died on me in game yet, but they do show that they’re running low on power fairly quickly. Base stations – You set these up outside of the outer corners of your roomscale area. If you don’t need roomscale, you can get buy with just one, but it is highly recommended to have both for proper tracking. It can be annoying having the headset drop to a gray screen if tracking is lost by, say looking away from the base station. People on Reddit have been complaining about the base stations being loud, in my experience they are quieter than the fans on my computer, so mine are very quiet. Ambient sounds easily drown out any noise made by the base station motors. The large amount of space that they allow for tracking is awesome, though there can be dead zones depending on where you mount them. The headset itself – It looks like something straight out of a Sci-Fi movie, and works awesomly. I have seen people complaining about the screen door effect and ‘God Rays’, so far the SDE is there, but it’s far better than it was on the Oculus DK1 or DK2. You will only see SDE if you look for it, when playing games I usually don’t notice SDE issues. On the issue of God Rays, I only really see any of those when there is something overly bright against a dark/black background. Usually game scenes won’t have that much contrast in their environments, so the god ray issue isn’t really all that bad. Too bad it appears that my Oculus won’t be here until May, something must have gone very wrong on their end to be so slow on sending out preorders. My Vive was preordered sometime between 15 and 20 minutes after the preorders opened, while my preorder for the Rift went through at 7 minutes. I understand that manufacturing companies will be better at their logistics, but come on… Oculus has Facebook backing them, You’d think that they’d be able to sort things out at least a bit better. I guess that for now I’ll be comparing the Vive to the Oculus DK2 for the time being. On another note, the DK1 doesn’t work in Oculus Home, effectively making the device a brick for anyone who upgraded. It isn’t an awesomely high-end device, but it should still be able to work. I wonder how long it’ll be until someone makes a wrapper that makes the DK1 work again. On yet another VR Related note, people have managed to get the Vive to work with some Oculus Exclusive games. You can take a look if you want, I find it very interesting. I wonder how well this will work in the future. Hopefully Oculus will add support for other headsets, I’m sure that more people would spend money on their store if they could play on more than one type of device. Now I’m really looking forward to my Vive arriving, not sure when it’ll happen though. Thanks to the ‘Sold out’ error that appeared to many people, including myself, when the vive preorders started I couldn’t place my order until around 18 minutes after preorders opened. Due to that, I appear to have a wait ahead of me. Probably not too long though, people who placed their orders ~10 minutes after preorders opened have been getting their shipping notifications. Some people have a lot of time on their hands, and are very creative… I wonder how much work it took to assemble this machine. 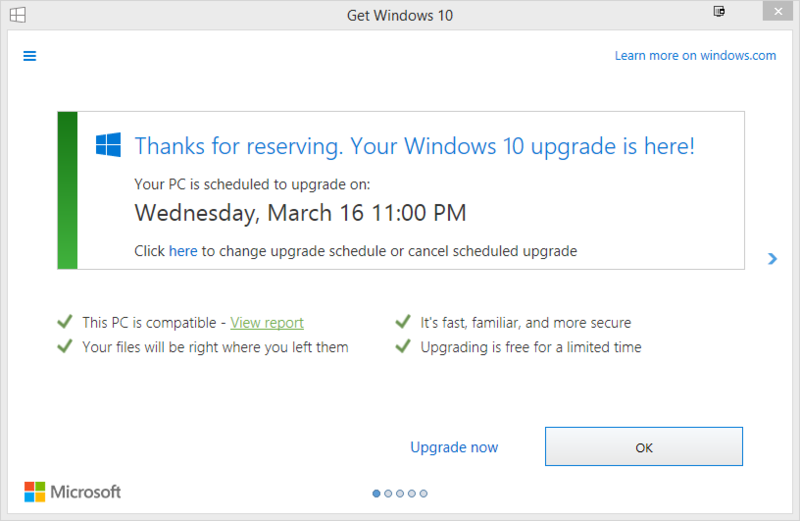 So, evidently, my Laptop will be upgraded to Windows 10 on the 16th, weather I like it or not, well probably the 17th as the laptop should be in sleep mode at 11 at night… I have nothing against Windows 10 itself, It’s better than Windows 8.1 and faster than Windows 7. 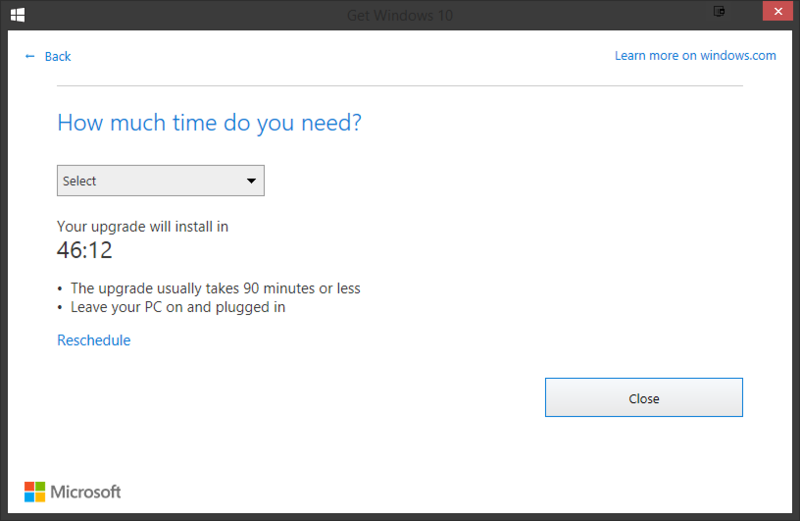 (Though I still like the appearance of 7 far more than 8, 8.1, or 10) I really don’t like how Microsoft is pushing Windows 10 out though, tons of nag prompts are not nice, and people don’t like having their machines change abruptly. Also from what I’ve been reading, some businesses are seeing their machines upgrading as well, often breaking their POS machines, and machines that have software that doesn’t work properly on Windows 10. The unexpected downtime can also cause issues as well. At my workplace we’ve done the steps to make sure that this doesn’t happen to us, but I don’t hold much hope for our Windows 7 domain to stay on Windows 7 for much longer, weather we like it or not. 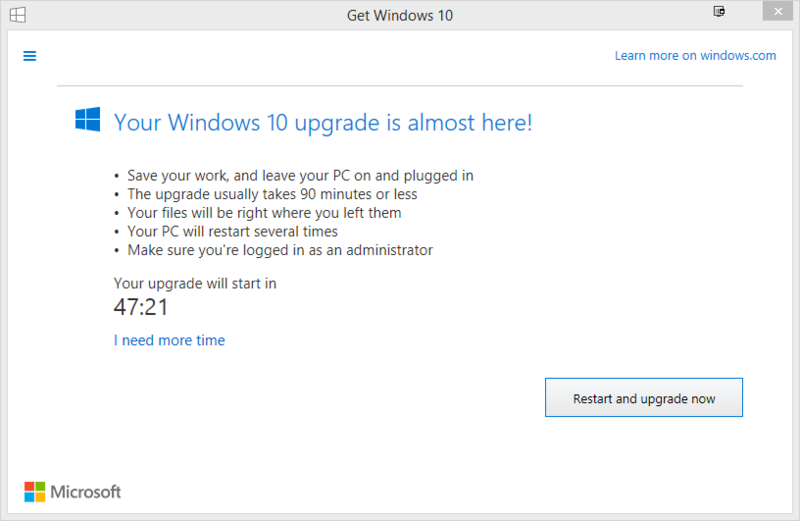 I can see why Microsoft wants Windows 10 pushed out, it’ll make it much easier for them when they only have to patch one OS, but they can’t stop patching Windows Vista, 7, and 8.1 until their End of Life dates come. Vista will be at EOL soon, but 7 will still be around until 2020 and 8.1 will be around until 2022. 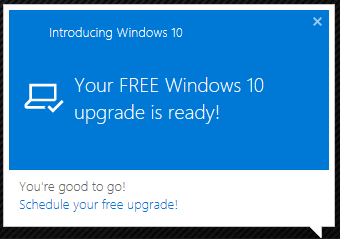 If they try to kill those OSes before the EOL dates, I’m sure that there will be some lawsuits. 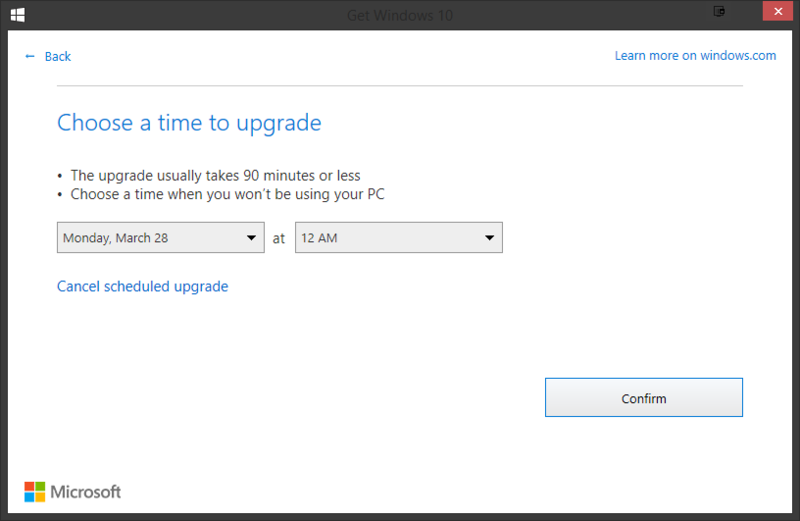 Businesses and some people don’t like change, or can’t upgrade yet thanks to older programs which may not work on Windows 10. Oh, and one sidenote, Daylight Saving time is starting tonight, we all have lost an hour of sleep. Good thing I shouldn’t have to run much tomorrow/today. The Minecrift mod for Minecraft has allowed people to play the Java version of Minecraft on the Oculus Rift. Playing Minecraft on the Rift is very fun, they recently released an update which made it compatible with the Oculus SDK 0.8, after a fairly long wait. Now on top of that, they’re planning on supporting the HTC Vive as well. from what I’ve been reading, it will only support head tracking at first, but they are planning on adding vive controller support in the future as well. I’m also looking forward to seeing how Minecraft looks on the Oculus CV1 and Vive headsets, it looks very nice on the DK2, and is playable on the DK1. Although the lack of positional tracking on the DK1 can be a bit … difficult at times. If anyone wants to take a look at the Minecrift mod for Minecraft, you can find it here. You can also view their openVR/Vive progress here. I’ve been looking forward to this for a while, the Vive will be open for Preorders starting on Feb 29, and will be shipping in early April. I am looking forward to getting both headsets in March/April of this year. 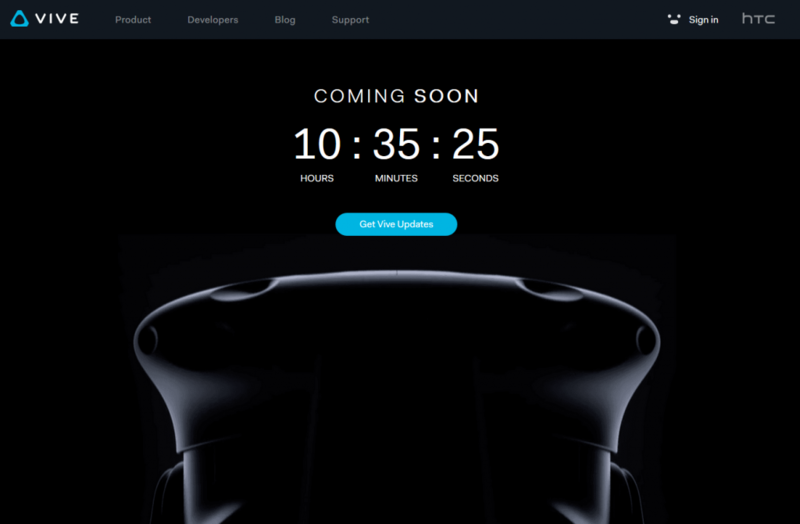 Click on the image to go to the HTC Vive website. On another note, they have also revealed all of their pricing information. It will cost $799 in the US, and more in most other parts of the world. I can cartainly see why people are talking about not getting the first gen headsets, as they are fairly expensive. You can view all of their pricing info on the HTC Vive blog. I do find some of the markups odd, though many countries do have import fees that can really increase the price of devices from foreign counties. That’s all for now, have an awesome day. I find it funny that people were going on about how the Vive would cost so much less than the Oculus back when the price was revealed back in early January. I felt that the fact that there’ll be more hardware coming with the Vive would cause the price to be higher, and it appears that I was correct. I find it interesting that so many people are getting very agitated about the high prices of the upcoming VR Headsets, but VR is a fairly new technology. Back when the price for the Oculus was revealed some people pointed out that DVD players, Bluray Players, and HDTVs were all extraordinarily expensive when they first became available. Some of those pieces of equipment could cost in the thousands of dollars back in the day. I for one am planning on ordering the Vive when pre-orders start at the end of February, I’d love to compare the Oculus CV1 to the Vive. I’m hoping that the facial padding is a bit better than in the Oculus DK2, as it has started to pull free from the plastic and has become a bit of a nuisance. It’ll be fun getting to play games in higher quality VR in the near future. Preorders for the Vive will start February 29, and they’ll start shipping in April.